What's the best way to learn Italian? Become fluent with these 22 tools! | Fluent. Simple. 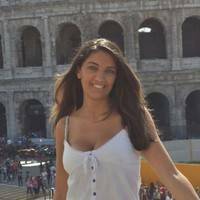 What's the best way to learn Italian? Become fluent with these 22 tools! You want to learn Italian, right? But… what’s the best way to do it? Textbooks, apps, audio courses, online lessons, reading, listening, speaking, writing? You want to learn Italian, right? But… what’s the best way to do it? A few decades ago, it was natural to browse textbooks in a bookstore. Nowadays, there’s plenty of software and apps that claim to be more interactive and effective. Apps on our smartphones are fantastic for social media, for playing games and even for finding the perfect restaurant, but they can also be an essential tool for anyone who wants to learn Italian. If you want to start to learn or to improve your Italian in a fun and easy way, there are a huge number of apps available. Are you ready to take group classes or 1-on-1 lessons? Which learning approach do you prefer? Language immersion? Grammar, anyone? Be advised that there’s no single tool that can answer all your questions and teach you everything you need to be proficient in Italian. In reality, you’re probably going to end up using a collection of tools to cover all the skills you need for communication in Italian: from learning the grammar, perfecting your pronunciation, to building your vocabulary. So, the question is, what’s the best way to learn Italian? Here’s a list of tools you need to successfully get results in your Italian learning! With “Ripeti con me!”, you learn Italian intuitively by listening and repeating sentences. The Italian audio course Ripeti Con Me starts at a beginner level and focuses on essential vocabulary. Its slow pace makes it accessible to beginners. The concept underlying this course is that you’ll improve your Italian by listening and repeating many sentences. As you go through the course, small changes are made to the sentences, moving different components in and out. In this way, you’re learning new words and how sentences are formed. Grammar isn’t explicitly taught but you’ll begin to pick up the various grammar points on your own. If I were to choose only one tool, it would be this one. This is the best way to learn Italian. With this Italian audio course, you’ll be speaking Italian from Day 1. Start now! Pimsleur is one of the longest and most well-established household names in language learning. Paul Pimsleur knew how important participation is in the process of language learning. Usually, when people learn with Spaced Repetition System they do it for memorization. In other words, just listening or reading at spaced intervals. However, Pimsleur products pressure you to recall and participate in actual exchange. So instead of playing a word to get you to remember it, the audio series asks you how to say something or to respond to a native speaker. The beautiful thing about this is that it never allows you to become a passive listener. You’re actively involved in what you’re listening to and the presenter of the series keeps you on your toes because you need to respond at various intervals. This active recollection is powerful at getting you to recall and use the language just as you would often have to do in real life situations. Glossika is an audio course just like Ripeti Con Me. In fact, Ripeti Con Me is an improved version of Glossika audio course for the Italian language. Glossika builds your speaking confidence at a rapid pace, gets you used to a native voice and challenges you throughout. The method is sentence-based and very heavy on the audio. You will hear a sentence and be prompted to repeat it – that’s the 2-second version of it. This simple task of repeating input will solve your problem of having nothing to say. Glossika isn’t for the very early language beginner – if you’re looking for a starter, try something like Language Hacking books. This is a method I see as perfect for anyone who’s sick of language learning theory and wants to start getting as much practice as quickly as possible. This is the old version of Glossika. It’s hard to find online, while on their official website you only find the new app version. Glossika used to be an audio course like Ripeti Con me, but now it turned into an app. Glossika´s courses are not appropriate to beginners starting off in the language as there are absolutely no explanations regarding grammar throughout any of the courses. While not suitable for absolute beginners, lower intermediates could use the resource to familiarise themselves with sentences in their language of choice using Glossika´s intuitive approach. Listening to native speakers and repeating what they say can help learners to improve their comprehension skills and spoken fluency. The biggest risk when you’re learning anything new isn’t that you’ll pick the wrong course, or you’ll learn the wrong things — it’s that you’ll give up. You’ll give up because it’s hard, or because it’s boring, or because you feel like you’re not getting anywhere. This risk is biggest when you’re just starting out. Once you’ve had a few successes, you’re much less likely to give up. 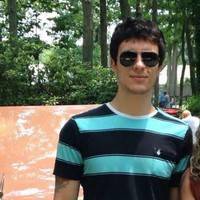 So, if you’re brand new to learning Italian, look for a course or solution that will teach you a lot of usable language, fast. Don’t dive head-first into a detailed grammar course. It will kill your enthusiasm before you even get out the gate. 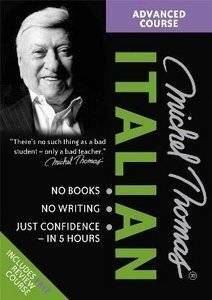 Michel Thomas Total Italian is an audio course. You follow along as Michel Thomas instructs a couple of Italian learners. You start with some simple phrases and quickly build on top of these until you’ve got a good working “toolbox” of language. Along the way, Michel Thomas explains a few interesting grammar points, but it’s not a huge focus of the course. You’ll feel like you’re learning a lot, quickly. You’ll feel like this Italian thing is pretty fun and easy. By the end of this course, you might even be able to hold very basic conversations with Italian-speakers and understand some of what Italian-speakers are saying. Don’t go into this expecting to be totally fluent by the end. You won’t be. But you’ll feel like it’s totally do-able. And that’s the key: It gives you the confidence to keep going. As much as I like Michel Thomas, he’s not everybody’s cup of tea. 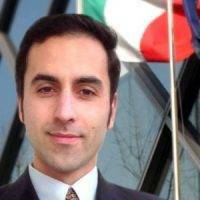 He is not a native Italian speaker (nor is he a native English speaker), so his pronunciation is sometimes a bit hard to understand. The latest version of the course is also only available on CD, which seems a little old-fashioned. This is another audio course that does roughly the same thing as Michel Thomas. It has a bit more fluff and corny jokes, but it’s more structured. There’s a native Italian-speaking presenter, and no annoying “students” getting everything wrong all the time. It’s also available for digital download, so you don’t have to wait for shipping, and you can listen to it on any device. I feel like I didn’t learn quite as much with this course as I did with Michel Thomas, but it’s still very enjoyable and encouraging. It also comes free with the full Rocket Italian course which I’ll be recommending later for the grammar component. If you end up buying Rocket Italian, there’s not really any need to buy Michel Thomas too. The Rocket Italian audio course will do just fine, and you’ll save a bit of money. To be honest, I don’t normally recommend Rosetta Stone. It’s expensive and gimmicky, and the whole concept of “learning like a child” by matching pictures with words (with no explanation at all) is seriously flawed. However, it does make you feel like you’re doing well, and it will probably get you excited about learning more Italian. It will give you some very, very basic vocabulary. So long as you don’t expect much, you’ll probably be quite pleased. If you have a copy of this already, go ahead and use it at this stage. But if you’re looking to spend money on something, you’re better off with any of the other options I’ve mentioned above. Once you’ve got that enthusiasm and confidence built up, and you’re less likely to just give up, the next step is to start learning from an actual Italian-speaker through one-on-one video lessons. If that sounds too high-tech for you, it’s really not. If you’ve got a smartphone, then you’re already equipped to do this. Most laptop computers also come with microphones and cameras built in. The actual lessons usually happen over Skype, or web-based services that don’t even need you to install any software. It gets you speaking and using your Italian. By far the biggest problem with learning online or at home is that you don’t tend to speak out loud as much as you need to. Using a tutor means there’s no escape from speaking out loud — so you’ll end up with much better pronunciation. It keeps you on track. The second biggest problem with learning online or at home is that it’s too easy to skip lessons — nobody is going to notice. But when you’ve got a tutor booked in once a week, you have someone to answer to. A tutor can tailor lessons your skills and learning style, or tweak lessons to focus on the things you need the most help with. Sometimes you need something explained in a few different ways before you can “get” it. You don’t get that kind of help from a textbook or software! It’s insurance against giving up. Remember I said that the biggest risk is that you’ll just give up? A tutor is your insurance against that. They’ll keep you motivated, hold you accountable, and help you get unstuck when you just don’t get something. Italki is the biggest one-on-one tutoring service out there, and you can find tutors of varying quality for practically any language under the sun. Italki gives you the chance to connect with native Italian speakers and you can schedule ‘lessons’ in the shape of skype conversations to practice your spoken Italian. There are a huge number of registered teachers, tutors or language partners to choose who you can send a message to or book a lesson with. This app is perfect for Italian students who just want the opportunity to practice. It is very easy to use and very easy to find what you are looking for. There is also an excellent notebook feature where you can submit something you have written in Italian and a native speaker will review and correct it. Italki is perfect for students who want a more interactive experience while they learn Italian, and although it may not be suitable for beginners, it is very useful for helping you get to grips with what is perhaps the most difficult part of learning Italian – speaking it. Available free for IOS on the App Store, for Android on Google Play and online. This stuff requires memorization and repetition. A tutor can help give you the big picture or help you with things you don’t understand, but I recommend using another tool to drill it into your memory because it’s best done “a little and often” — i.e., when you have a spare ten minutes here and there. Your tutor can probably give you some resources for this, or you could get by with a good textbook and a set of flashcards. 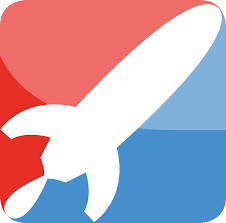 But I quite like a software solution, like the “language and culture” component of Rocket Italian. If you’re strapped for cash, you could try the free Duolingo app. For a free thing, it’s great. I wouldn’t use it as my only Italian-learning tool, but it can help at this “test yourself over and over again” stage. Just make sure you take the time to review the notes on grammar and consider getting a back-up textbook to use as a reference. 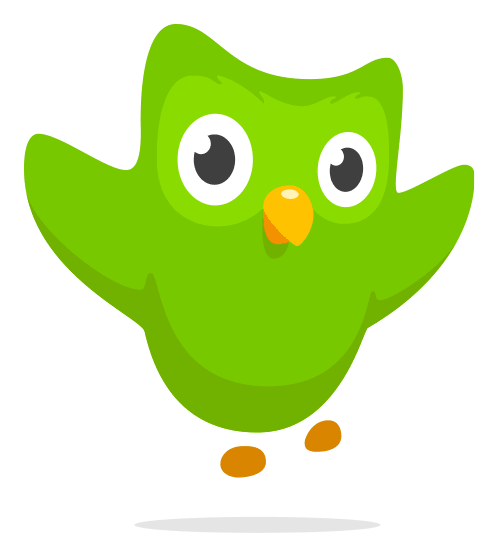 Duolingo is a very famous app which is very fun and easy to use and quickly improves your Italian language level using effective and well-designed activities. The user can choose a daily goal for the number of minutes that they want to use the app every day (5-20 minutes) which helps to minimize the risk of students becoming overwhelmed and giving up with studying Italian. For intermediate and more advanced students there is a test at the start to establish their level of Italian. In the app, there is a large selection of vocabulary and grammar about subjects like clothing, work, places to go and education. There are also sections which help to teach Italian grammar, including the tenses of verbs and the subjunctive, something which you can’t find in other applications. Another attraction of Duolingo is that it offers you the opportunity to improve your pronunciation with specific exercises where you have to repeat phrases that can be corrected, but you can also skip this section if you are somewhere where you cannot talk loudly. Duolingo is completely free and available on IOS, for Android on Google Play and also online. Once you’ve covered some of the basics, the best thing you can do is get out there and start using that knowledge in the “real world”. That doesn’t mean you need to drop everything and head to Italy. It just means that you should start exposing yourself to “real” Italian language outside of textbooks and tutorials. One of the best ways to learn new vocabulary is to try reading texts in Italian, like the children’s stories in Italian on The Italian Experiment. In the beginning, you might only recognize half the words, or you might get bamboozled by a strange-looking sentence structure. But hopefully, that makes you curious enough to go and look a word up, or run a phrase through a translator. You’re more likely to remember that word or phrase or structure next time. Much more likely than if you just passively absorbed it from a textbook. Children’s stories can be wonderful for the relatively simple language but beware of traditional fairy tales which might use antiquated language. Don’t expect to understand everything when you start listening to Italian radio and stories. If you’re a beginner you might only recognize the odd word here and there. Don’t be discouraged! Understanding everything is not the goal. The goal here is to become familiar with Italian the sound and rhythm of real-world spoken Italian. Even if you just have it playing quietly in the background while you do something else. If you’re a complete beginner, it might be less intimidating to listen to slow Italian: News in Slow Italian presents a weekly news discussion in slow Italian. It’s a subscription service, but you can listen to the introductions to each episode for free. One really effective trick to help with your pronunciation is to listen to a piece of audio in Italian and try to repeat back exactly what you’ve heard — even if you don’t understand it. Our children’s stories in Italian are wonderful for this because the audio is nice and slow. Becoming perfect in another language is a long journey: You need a lot of enthusiasm, motivation, and confidence to keep going. Look for tools and strategies that will really encourage you — particularly when you’re just getting started. The biggest danger is that you’ll give up. You don’t have to be perfect to start using your Italian: You’ll learn everything a lot faster if you’re actively using your new language. Don’t expect to be perfect. People will probably understand you even if you don’t get everything completely right. Just go out there and enjoy your new language! Available for Apple IOS and Androids on Google Play, this app is completely free and very easy to use. Before starting, each student chooses their Italian language level (from A1-C1) and the number of minutes they want to spend using the app every day. In each lesson, you learn 14 new Italian words about many different themes (all of them useful for everyday life), such as business, travel, emergencies or words to use in general conversation. There is also a section dedicated to Italian slang, which isn’t very common in traditional lessons or in apps but is very useful for students who want to live in Italy, helping you get to grips with the most authentic part of the Italian language – communicating with native speakers. In the end, the user can check what they have learned using a wide range of activities, such as multiple-choice games with audio and visual help. 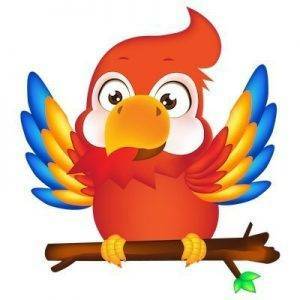 This app is perfect for beginners as it teaches the basics of the Italian language in a way that is fun and easy to remember, with a large selection of activities and games that can be downloaded. “Learn Italian” is perhaps better suited to younger learners as it uses games as its main teaching method, for example, word searches or joining up words. One potential drawback of “Learn Italian” is that there are only 30 free activities available with another 100 exercises only for premium members with membership costing $2.99. “Learn Italian – 50 languages” is available to download on IOS or Google Play for Android. Busuu is a brilliant app for Italian students because it offers so many unique aspects which optimize learning. The app teaches Italian vocabulary about a range of subjects for all levels: family, free time and food for beginners; and more complex themes such as politics, nature and life choices for more advanced students. Every lesson begins with new vocabulary taught using flashcards and exercises involving matching up words, along with the chance to listen to dialogues by native speakers about the theme. For premium members, there is the option to talk with native Italian speakers and send them exercises to correct and so users can have a far more direct learning experience. The membership cost is more expensive than for other applications (€2 a week), but it is perhaps worth it for all the other enjoyable features of the app. “Busuu: Learn Italian – Speak Italian” is available for IOS and Google Play for Android. 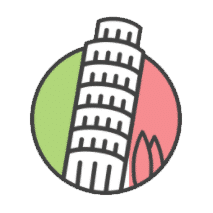 Babbel is a free app where you can choose your level of Italian to suit your needs based on whether you are a beginner or more advanced student. 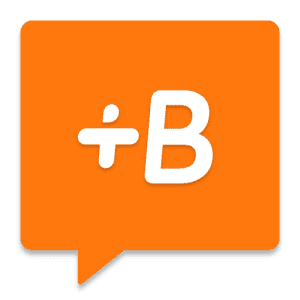 Babbel is a very widely used app thanks to its simple and easy to use layout, which includes a lot of images to help you remember words as well as realistic dialogues to complete on a variety of different subjects like Italian culture and the world of work. One drawback is that the free version only includes the first lesson of each course, after which there is a subscription fee: 1 month costs €9.95, three months cost €19.95, six months €33.90 and a year €59.40. Even though there are other apps which are just as fun and effective, this app has managed to attract the interest of hundreds of thousands of users, and this should not be overlooked. Babbel is available for IOS and Android. 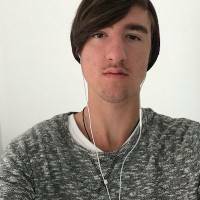 Another one of the best apps for learning Italian is Memrise. Even though it has a slightly strange concept it can be fun for younger students and is a very useful resource for Italian students of every age and level. Memrise is designed like a game where students have to fight off an alien invasion by learning Italian. Apart from the concept, the layout of the app is very clear and easy to understand, with vocabulary lessons followed by multiple choice exercises, pictures, and texts as well as conversations between native speakers that can help you understand the use of the words you have just learned. If you can look beyond its slightly strange concept, Memrise could be a perfect addition to your Italian learning journey. A drawback of this app is perhaps that it only teaches 3 new words a lesson, and this could become a bit boring for students who already have slightly more advanced knowledge of the Italian language. 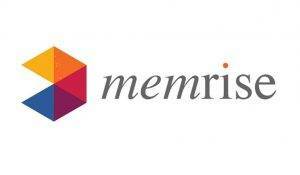 Memrise is available on IOS and Android with Google Play. Mondly is an app particularly useful for learning the different tenses of Italian verbs in a very easy way thanks to its simple and clear explanation of each different aspect. It also has a very useful system for learning vocabulary, using a combination of new words and longer texts to maximise the amount a student can remember. The app can also be adapted for students of every level of Italian, beginners, intermediate and more advanced by using vocabulary chosen by the student themselves (family, cultures of different countries, food and drink) and more simple or complex grammar points. Another useful aspect of this app is that you can save your progress every day and so you can see your progress as you use the app, helping to keep you motivated. A truly unique aspect of Mondly is the idea that users can learn Italian together, you can compete with friends, and even strangers who use the app, in the different games and activities! One drawback of Mondly is that it is only free for a trial period, after which you have to pay, although considering the importance of the content $20 a year doesn’t seem too much. Mondly is available for IOS on the App Store or for Android on Google Play. 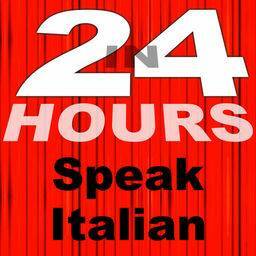 “In 24 Hours” is a free, but more basic, app which is useful for students who want to study Italian on the move. It is perhaps more suitable for beginners as it is not possible to skip the simplest lessons, which teach phrases like ‘I am, I have’ etc. The interface is very colorful and clear, making it fun and accessible for anyone. Even though it doesn’t offer the same range of interactivity or activities as apps like Duolingo or Babbel, it could be a useful tool for Italian students. One potential drawback of ‘In 24 hours’ is that it is not yet available for Android, and so you need IOS to be able to download it. Drops is an app which I personally have used and continue to use thanks to its fun and easy to use design which makes the process of learning Italian simpler and seem more like a game than work. There are 50 themes to choose from which are all actually useful for daily life in Italy, vocabulary for going to the doctors, to use at school or vocabulary that is useful for conversations between friends, like pets, sport and emotions, rather than more mundane subjects taught in other apps. The activities of this app can be adapted for every user, at the beginning of each vocabulary lesson the student can choose the vocabulary that they want to continue to learn and get rid of others. The activities are often multiple choice or spelling exercises and so it is very easy to learn and remember the vocabulary. There are also sections about Italian grammar (pronouns etc.) and so students don’t just learn vocabulary but instead the whole language. The only frustrating thing about Drops is that you can only use it for 10 minutes a day without paying, and there are certain topics that are only available for paying members. Drops is available only for IOS on the App Store. 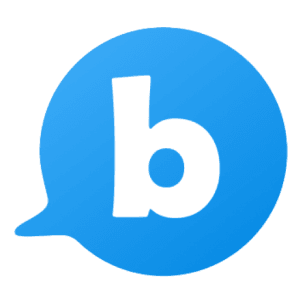 Bravolol is more basic than the others I have recommended but it is also a useful tool for Italian students because it starts with the most basic phrases along with vocabulary and their pronunciation for day to day situations like how to do the shopping, numbers and health. This app could be very beneficial because students can learn how to perfectly pronounce vocabulary, one of the most difficult things about learning Italian. Having said this, ‘Learn Italian’ probably shouldn’t be used as a substitute for Italian lessons as it doesn’t teach the most important grammar rules, it only teaches vocabulary. One drawback is that it also has an undeniably less fun and interactive interface, and also many of the more important and advanced lessons (like accommodation, housing and work) are reserved only for premium members which costs £4.99. 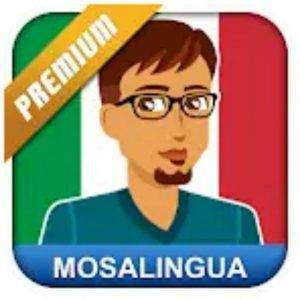 Mosalingua is an excellent app for students who want to improve their Italian (especially their vocabulary), which has developed its own unique and effective way of teaching Italian words and phrases. Students begin by choosing the amount of time they want to spend learning every day and then can take a test to establish their Italian level or choose it themselves. The app consists of learning 5 words or phrases at a time from flash cards before using different methods to try and memorize them, students can learn some of the basics of the language, like how to introduce yourself, but also some can learn words and phrases that are essential to be able to live in Italy, like going to the doctors or how to deal with emergencies, making this app also suitable for more intermediate Italian students. One very useful feature of this app is that you can choose the words or phrases that you want to learn, giving a more student directed learning experience. 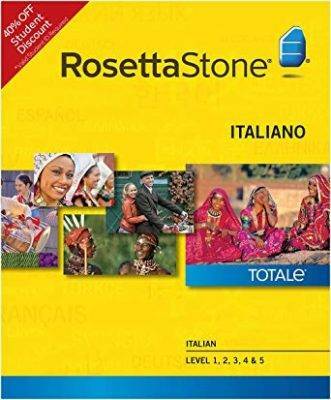 A potential drawback is that the free version only teaches a limited number of Italian words, premium membership costs $4.99, but it has 3000 flash cards to learn, all accompanied by an audio track from a native speaker and so perhaps it is worth it. Available for IOS on the App Store and for Android on Google Play.